Last Saturday, I went to SM Makati to attend #PondsMiracleMom Beauty Must-Haves workshop with Pond's Girl Chesca Garcia-Kramer. Being a mother of three like Chesca, I also agree that one of the most important and happiest parts of our daily lives as mothers is having to take care of everyone else, but more than that, it is also necessary to find time to take care of ourselves, the way we look, how we feel. 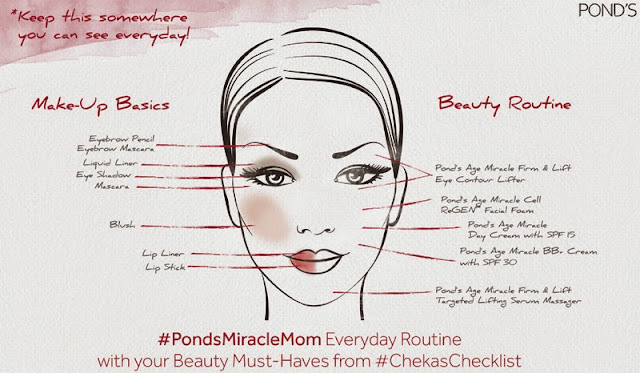 For Chesca, looking and feeling beautiful and younger is just a few steps away, with her checklist of beauty must-haves and all it takes are three skincare steps from the Pond's Age Miracle line to stay radiant, fresh, younger-looking, and beautiful. A mother’s daily routine can be demanding, but with the simple Pond's Age Miracle 3-step regimen, moms can easily take care of themselves and get skin that looks up to 10 years younger, despite their hectic lifestyles. Step 1: Cleanse. 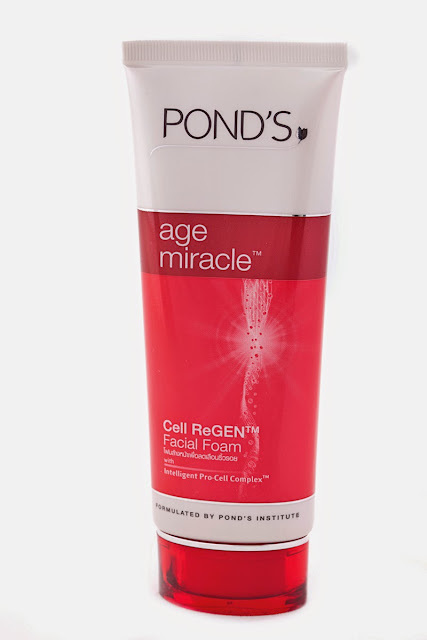 Wash away signs of aging and enhance your skin’s overall radiance with Pond's Age Miracle Cell ReGEN Facial Foam. Step 2: Moisturize. 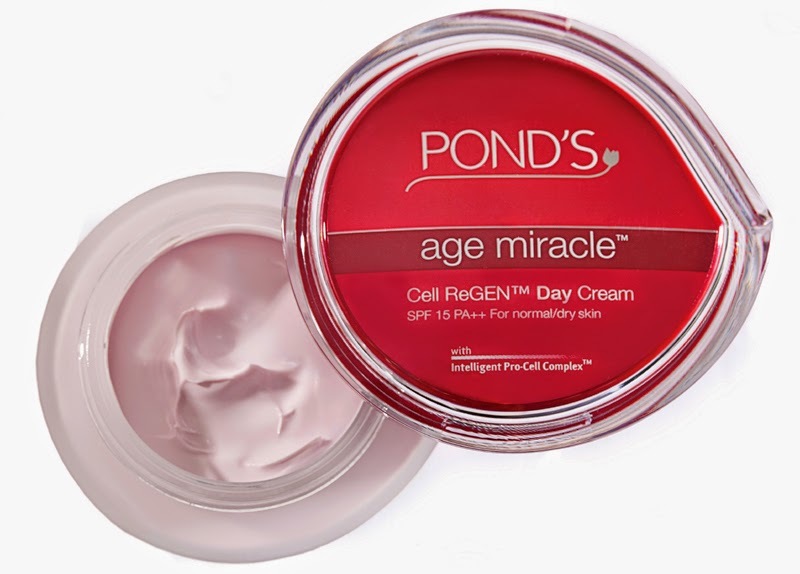 Apply a layer of Pond's Age Miracle Day Cream over the face and neck to help renew skin cells and fight signs of aging. Step 3: Conceal and Protect. 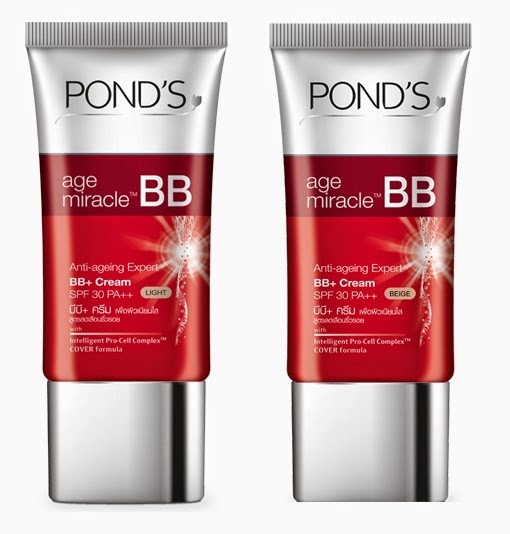 Finish with a layer of the Pond's Age Miracle BB+ Cream for a natural coverage while addressing other aging concerns and providing sun protection with SPF 30 PA++. “I love this anti-aging concealer for its natural finish on the skin. Its tint blends effortlessly with my skin tone to make for such a refreshed and flawless look,” adds Chesca. I learned a lot of new tips and tricks for doing my eyebrows, blush to lips. I also learned how to apply moisturizer, bb cream or foundation properly. (You do it like the photo above) Do it with 7 dots and DO NOT vigorously rub the product into your face. That's traumatic to your delicate facial skin, and cause serious irritation, redness and aging. Use that ring finger to dab and apply the moisturizer around your eye area. That skin is so tender, so be sure and use the weakest of your fingers to moisturize. Also, it's worth investing in a separate eye cream, since the skin there has different needs from the rest of your face. Don't forget to also apply a liberal amount of moisturizer to your neck because your neck show aging and wrinkles first. So it's critical that you don't neglect your neck; instead, protect it. Everyday is another chance for you to become even more beautiful. Having an expensive makeup is useless if you don't have a good skin care routine so it's more important that you take care of your skin with POND'S age miracle line that helps moms get younger-looking skin, POND'S further emphasizes that mothers- our superheroes and "miracle workers"- truly only deserve the best. Everyday is a celebration of the #PondsMiracleMom. 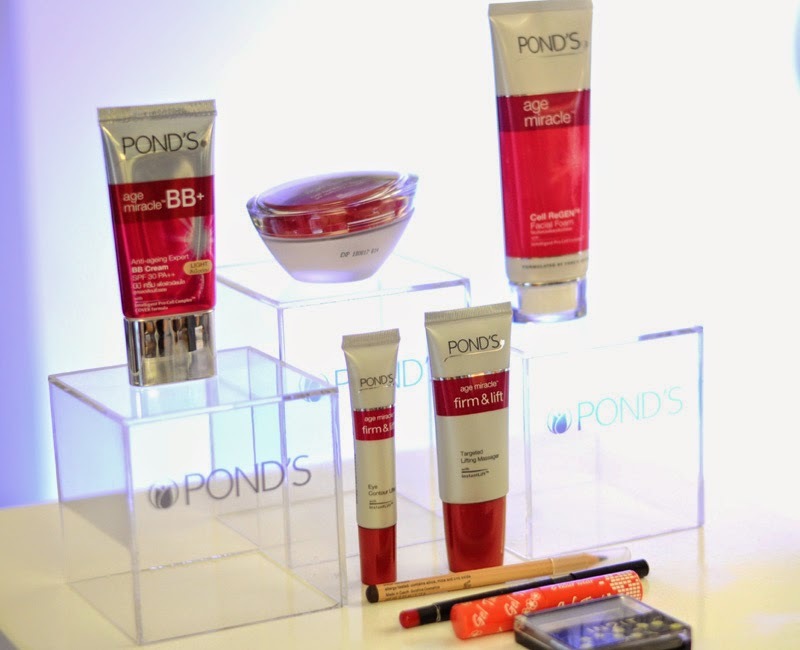 To know more about Pond's, skin care tips and more. i was there when it happened, glad to see Ms chesca and her two adorable kids! Please make a review of this products:)I think I need to use anti-aging products soon. I agree, expensive makeups are useless if you have ugly skin. You would spend more on makeups too, making you look more fake. :) I love Pond's line because its effective yet affordable. Will grab some from this line soon.